La Laguna, whose full name is San Cristobla de La Laguna, is a town on the northern part of Tenerife not far from Santa Cruz de Tenerife. It is considered to be the cultural capital of Tenrife. 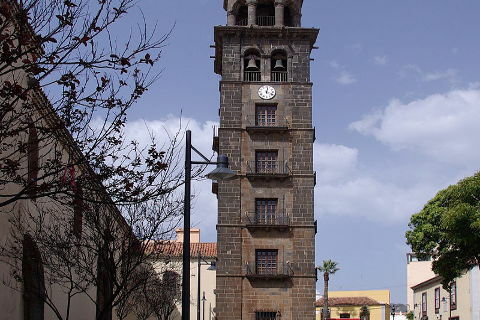 San Cristobal de La Laguna is the second biggest city after Santa Cruz de Tenerife and it is an important historical centre, so much so that it is a UNESCO World Heritage Site. Its grid plan was designed in the 15th century and became a model for cities in the Americas including Cartagena de Indias in Colombia and Old Havana in Cuba. The highlight of La Laguna is its old town which is a real step back in time and full elegant buildings from the 15-17th centuries. The town has a particularly high concentration of churches and religious buildings as well as fine palaces. The Cathedral of La Laguna was built in the early 1900s and its Neoclassical facade was inspired by the cathedral of Pamplona in mainland Spain. Inside it has a 16th century baroque retable and there are also some paintings by Tenerife artist Cristobal Hernandez de Quintana who was a notable 18th century artist. The remains of Alonso Fernandez de Luga who founded the city lie in the cathedral. The cathedral is on the main square, the Plaza de los Remedios. To the west of the cathedral is the Iglesia de la Concepcion which was built in 1502 and has a beautiful tower and a wooden Mudejar ceiling. Mudejar architecture which is a mix of Moorish and European styles and is very prevalent in San Cristobal de La Laguna. The church has a tall bell tower that you climb and get some excellent views over the town. 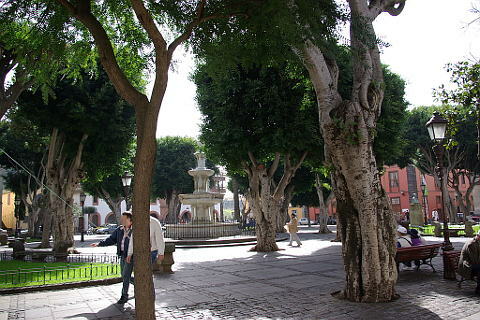 To the east of the cathedral is the Plaza del Adelantado is one of La Laguna's loveliest squares. It is home to the town hall and a convent with an attractive balcony and the Palacio de Nava, an impressive palace. Another square to look out for is the Plaza del Cristo which has a lively market selling cut flowers and vegetables. Another notable religious monument is the Real Santuario del Cristo de La Laguna which is home to the Cristo de La Laguna, a statue of Jesus on the cross, which is particularly revered in the Canary Islands. San Cristobal de La Laguna is a great place to be during one of their reiligious festivals. If you can, visit during Holy Week when La Laguna has the largest Holy Week festival in the Canaries. On Good Friday the religious guilds dressed in dark hoods carry the cross through the medieval streets. The Romeria de San Benito Abad pilgrimage involves groups from all over the Canaries. It takes place on the second Sunday of July and involves lots of music and dancing and locals dress in traditional dress. The festival of Cristo de La Laguna on the 14 September is another important one and on this day people from all over the Canaries come in honour of Cristo de La Laguna. 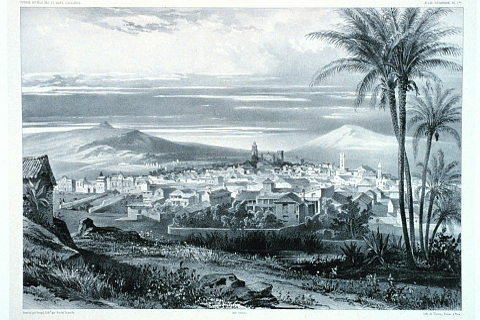 La Laguna was once the capital of Tenerife though this transferred to Santa Cruz de Tenerife in 1821. 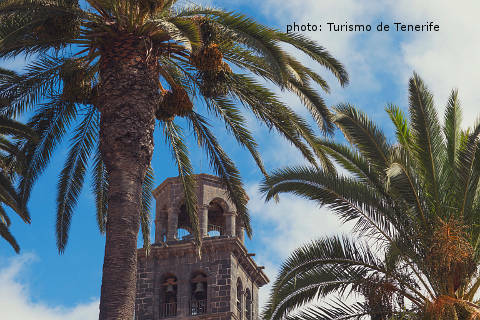 It is a university town and houses the oldest university on the Canary Islands. It is therefore a lively bustling city with a vibrant nightlife. 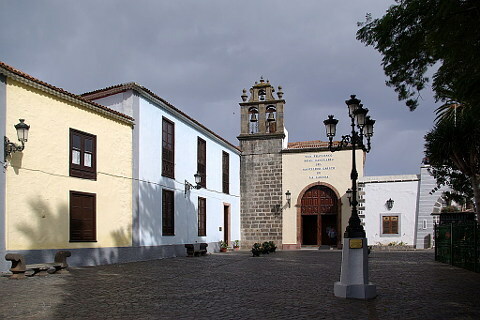 The University of La Laguna dates back to 1701 and its main building is an elegant building on the Calle Delgado Barreto. La Laguna sits in the Aguere valley at the foot of the Anaga mountains. The surrounding countryside is very pretty and if you drive up into the hills you can get some fabulous views of the town below, nestled in amongst the hills. San Cristobal de la Laguna sits next to Santa Cruz de Tenerife and indeed the two are so close that they merge together in one large agglormoration. A tram links the two centres making it easy to travel between them. Santa Cruz de Tenerife is on the coast and has a natural deep harbour that led to its wealth and importance. It is home to the popular 'Las Teresitas' beach. Locals often head to the nearby beaches at Punta del Hidalgo and at Bajamar. La Orotava is another beautiful town which is nearby and worth visiting. The Anaga Rural Park has stunning mountain scenery and ancient forests and is great for walking.